Some times you just need your Lead Capture form appear only in specific pages. 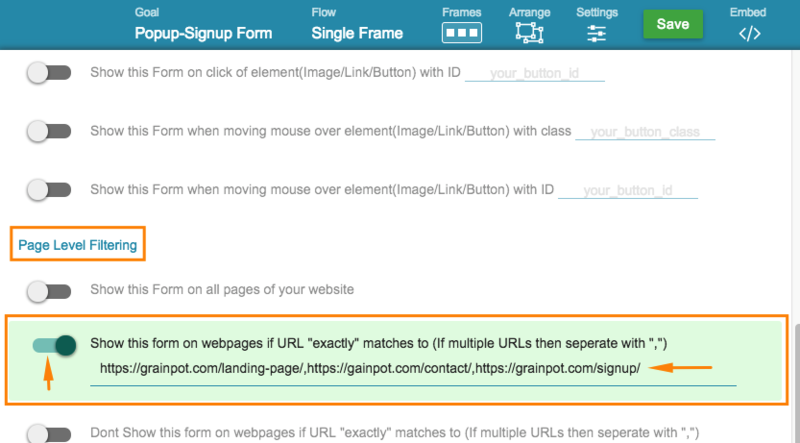 If you are running a campaign and have few landing pages setup, you might only want to show Lead Capture form on those pages for the campaigns. This helps you to target specific customers, who read certain content or who are looking for certain services on your webpages. Its easy to create amazing Lead Capture forms with Optingun, Its much easier to configure and control the behaviour of those forms. Here are 5 quick and easy steps to setup your form appear only on specific pages. 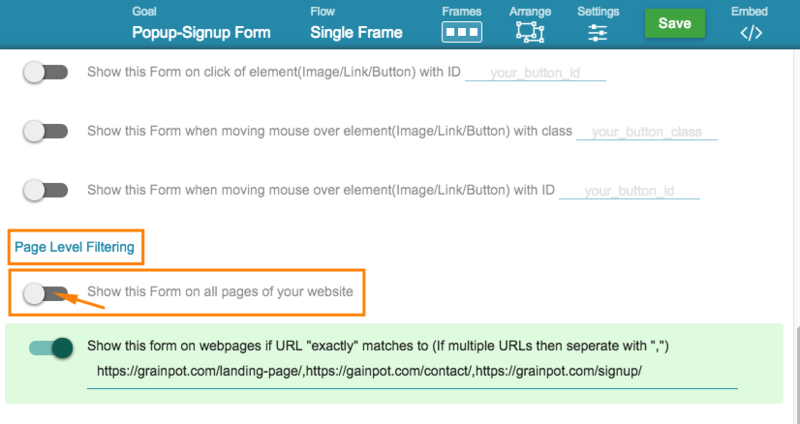 Step #3 Disable “Show on all pages”(default Setting) : Go to “Show this form on all pages of your website” and disable this(switch off the toggle), so your form wont appear on all pages, this is enabled by default. Step #5 Save your Form : After you are done with your changes, save your form and your changes will reflect on your pages instantly. You are done. Optingun forms are in your complete control.